Supports all MBOX Supported Email Clients like Thunderbird, Entourage, Apple Mail, Eudora, Spicebird, Pocomail, Netscape etc. Allows to Backup All Zoho Mailbox Items: Inbox, Drafts, Trash etc. You can Pause while taking Zoho Mail Backup & Resume it any time without hampering the Zoho to Outlook, Thunderbird, or Apple Mail conversion process. SysTools Zoho Backup Tool efficiently convert Zoho Mail to Outlook in a perfect manner. 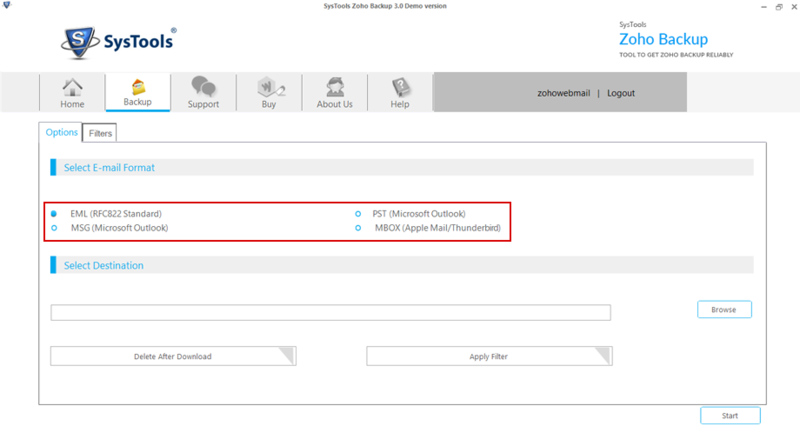 The Zoho archive utility can export all the Yahoo mailbox items including inbox, sent items, draft to PST file format. After that these PST files can be imported to Outlook 2016, 2013, 2010, 2007, & 2003 without any hurdle. The Zoho Email Backup Software can effortlessly migrate Zoho Mail to Thunderbird MBOX file format. Moreover it provides different features like delete after download to free up the storage space of the Zoho account. SysTools Zoho Mail Backup Tool got 5 stars by CNET for its unbreakable performance in exporting mails from Zoho to Outlook PST, MSG, MBOX & EML formats. Software Suggest says that SysTools Zoho Backup is the safe and secure utility to backup Zoho emails without any data loss. Software to Export Zoho Mail to Outlook PST, MSG, Thunderbird MBOX, and Apple Mail EML Formats. The Zoho Backup tool facilitates archiving every piece of essential information available in the account. It is possible to generate the backup file of multiple Zoho Mailbox Items like Inbox, Drafts, Trash, Spam etc., simultaneously with Zoho email backup tool. The software will be generating one archive file of each folder items in the chosen file format. Zoho Email Backup Program is rendering the feature to export data from Zoho Mail account (individual mailbox). One just needs to provide valid credentials of their account and within few minutes, they will be having archive file in hand to Export Zoho to Outlook & other email clients. Developers promise its users that this product will not save Zoho Mail credentials in any of our databases during the process to backup Zoho data. MBOX File: Supported by Apple Mail, Thunderbird, Entourage, Netscape, Pocomail etc. EML File: Supported by Windows Live Mail, Outlook Express, Apple Mail, etc. The Zoho archive software is also capable to take Zoho business account backup completely. The tool is one of the efficient and helpful utility to perform Zoho mail business backup within few seconds. Also, it provides multiple standard file saving options to take backup of Zoho mail for small business to Outlook PST, EML, MSG, and MBOX formats. It is now possible to link Zoho to Outlook 2016, 2013, 2010, 2007 & 2003. One just needs to backup Zoho Mail to PST file format and then, import this .pst file into its respective email client. However, it is not mandatory to have Outlook installed on the machine for Zoho Mail to Outlook migration with Zoho Backup Tool. Sometimes a situation occurs where the Zoho backup procedure gets interrupted intentionally/ unintentionally due to one or the other reason. To prevent the process from being getting started from the beginning, our Zoho Mail Account Backup software is offering two useful options within it i.e., Pause and Resume. These options allow users to restart the process from the point where it had earlier left. The Zoho Backup tool provides an ultimate feature to accomplish selective backup procedure in order to filter useless data items, which the user does not want to have on the local machine. Users just need to check and uncheck the mailbox and rest filtering will be performed by the application itself. Zoho backup solution is designed and developed with such high-tech and advanced algorithms that it generates archive files with same folder structure as of the original one. Whether it is for the single user or multiple, the Zoho Backup tool guarantees that data integrity will be maintained throughout the procedure to backup Zoho Mail. This option makes SysTools Zoho Backup Tool unique from all others available in the market. The purpose of this is to free up occupied storage space from the Zoho mail server, just after transferring/downloading data on the local machine. Moreover, Zoho Mail archive program facilitates its users to customize the internet bandwidth while processing. If you are using Windows 10, 8.1, 8, 7 or Vista, then please launch the tool as "Run as Administrator". Is there any feature of date based filtering within Zoho Backup Tool? 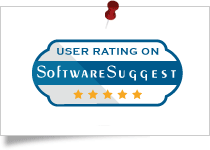 "I have gone through this product page of SysTools Zoho backup software and I am actually interested in purchasing it. But, before I buy it, I have a query that is it possible to create backup of particular date range via your application. I am asking this because I only want to copy/ save data of a particular month and then delete them from the server. Is it possible to do the same?" Yes, it is possible to archive Zoho Mail data of a particular date range. You just need to mention ‘To’-to-’From’ range and rest of the selection procedure will be accomplished by Zoho Backup Tool. Download & Run Zoho Backup Tool. Backup Zoho Mailbox Data like Inbox, Drafts, Trash, Spam etc. Will I be able to export Zoho contacts to Outlook 2016? "There is requirement of sharing my Zoho account contacts with my colleagues who are operating Outlook on their machine. Therefore, I do not want to move/save entire mailboxes of Zoho account locally and all what I need is to backup Zoho contacts in such file format, which is supported in Outlook. What to do now, please suggest a solution!" No, our application does not support contacts, but you can backup Zoho Mail to PST then you can transfer/ import this file in Outlook 2007,2010, 2013 & 2016. 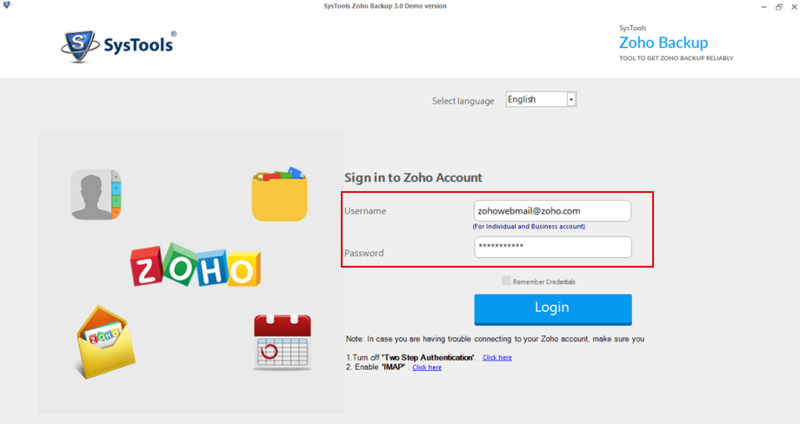 Is there need to have technical guidance or training to operate your Zoho Mail Account Backup software for downloading/ copying Zoho mailbox data? "Being a non-technical person, it is actually a challenge for me to generate backup with help of third-party utilities. Till today’s date, I have used many products for the different mail backup but, the challenge I always is that they are difficult to use. Therefore, before I create Zoho backup with this utility, can anyone tell me that what all technical training is required to work with your program to backup Zoho data?" No, not at all you require any technical training to work with our Zoho Mail backup application. Software developers had designed the Zoho Backup Tool with easy-to-use and user friendly GUI to backup Zoho Mail. Will your Zoho Backup Tool still work, if credentials of Zoho account are not known properly? "Earlier I was using Zoho for emailing purpose and after certain time duration, I switched to Outlook 2013. However, I continued using Outlook without having any concern about my previous account. Unfortunately, my father had asked for few data, which was actually stored in my earlier account. Since I have not been using account for last few months, I had forgotten password of my account. So, I want to know that can I recover Zoho password via this utility?" No, our Zoho Email backup tool does not provide functioning of recovering password of Zoho account. 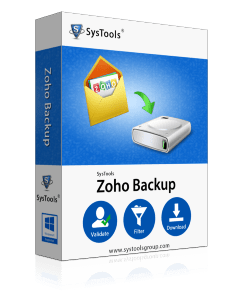 The main aim of SysTools Zoho backup software is equip a hassle-free solution for generating archive of your account’s data with all of its mailboxes and saving it in one or the other file format. I am using Zoho Mail and now I wish to switch from Zoho to Apple Mail. Can I migrate from Zoho Mail to Apple Mail using your Zoho mail backup Software? Yes, our Zoho Backup tool allows you to download Zoho Mail data to EML files. These EML files can be easily accessed on Apple Mail which makes it easy for the users to migrate from Zoho Mail to Apple Mail. We wish to migrate from Zoho to Thunderbird. Can this be done using SysTools Zoho backup software? Yes, the Zoho Mail backup utility can export Zoho data to MBOX files which can hence be accessed on Thunderbird. This allows the users to switch from Zoho Mail to Thunderbird easily during process to backup Zoho mail. Is there any option to take the backup of Zoho mail for small business? Yes, the Zoho archive tool can perform Zoho email business backup in a perfect way. Also, provides different file formats to save the backup. Is it possible to backup Zoho workplace email with this software? Yes, in Zoho workplace, emails are stored in Zoho Mail. So, it is possible to take the backup of Zoho mail workplace with this tool. Add Zoho Mail Inbox, Drafts, Trash, Spam etc. I was facing one or the other problem while using Zoho Mail. I was not only using this for emailing but, was also using it for storing of personal information. But now I decided to switch from Zoho mail to Outlook 2016. 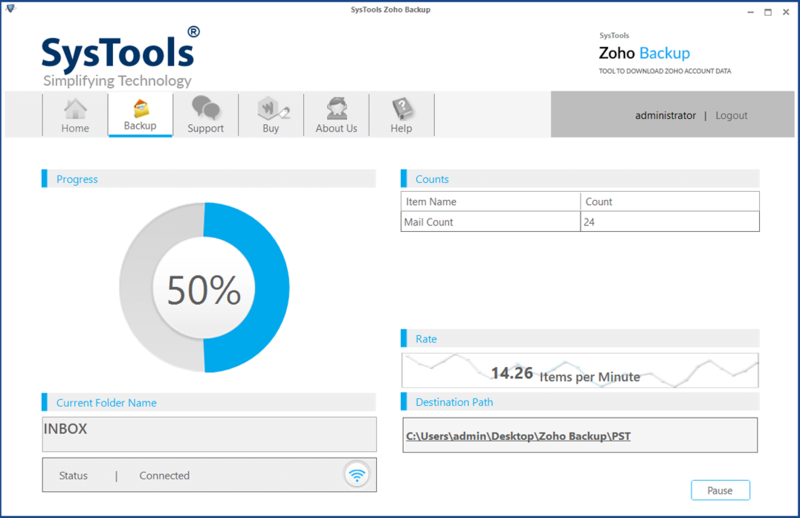 I have used SysTools Zoho Backup Tool to migrate all files in Outlook .pst format. It was really an effortless task for me to migrate Zoho Mail data of around 3 years to Microsoft Outlook within just a few minutes. This is such an effortless solution to migrate from Zoho to Outlook 2016. The Zoho Backup Tool I had used were not proving themselves worth for me because there is the problem of internet connection where I was living when I want to archive Zoho mailbox, on urgent basis. But, when I worked with this Zoho email backup software I actually got impressed with its working. Even in slow internet connection, I was able to download/ save data of Zoho account to my PC and whenever the process got interrupted, I used Resume option to restart the process from where it stopped. Great experience for me to work with this app! I was searching for an affordable software to take the Zoho business email backup, I get to know about this helpful utility from one of my friend. It was an amazing tool, With the help of this tool I have created Zoho business account backup without any issue. Our organization was searching for the solution that would help us to backup Zoho Mail to Thunderbird and also the local drive. We were recommended by our IT admin to use this utility. I must say I am very much impressed with the way this application archived our Zoho Mail mailboxes. We were able to transfer/ move complete data (Inbox, Drafts, Trash, Spam etc.) of our accounts to our local drive and Mozilla Thunderbird also. We are very happy with this product. It’s the best software available in the market to done Zoho to Thunderbird and other email clients conversion. A Great job was done by the development team of SysTools! Keep up the good work! We have used many utilities to export data from Zoho to Apple Mail but nothing met our expectations like the way this Zoho backup tool did. We are happy to be the part of the huge user base of SysTools. This company provides best range of products to its customers. We are never let down by any of the applications we have used of this organization. The hard working team of SysTools never fails to amaze us with the innovative and efficient software. A long way to go guys! Well done. I am looking forward to more tools related to Zoho mail.